Microbes are everywhere. On door knobs, in your mouth, covering the New York City Subway, and festering on the kitchen sponge. The world is teeming with microbes—bustling communities of invisible organisms, including bacteria and fungi. Scientists are hard at work cataloging the microbial communities of people, buildings, and entire ecosystems. Many discoveries have shed light on how culture and behavior shape these communities. On 13 March 2017, the legal saga of the trial of Hosni Mubarak ended. The deposed autocrat, who was convicted and sentenced to life in prison for his complicity in the killing of hundreds of demonstrators and embezzlement on a grander scale, was acquitted by Egypt’s Court of Cassation and freed from his detention. “The trial of the century”, as Egyptians have dubbed Mubarak’s prosecution. The Anglo-Zulu War of 1879 is undoubtedly the most widely familiar of the Victorian campaigns of colonial conquest, those so-called “small wars” in which British regulars were pitted against foes inferior in armaments, operational sophistication and logistics. It is also by far the most written about, some would say to the point of exhaustion. Nate Parker’s movie The Birth of a Nation, which opens in Europe this month, tells the semi-fictionalized story of Nat Turner, an enslaved man who led a short-lived rebellion in rural southeast Virginia in August 1831. The movie focuses on Turner’s life before the rebellion; demonstrating one man’s breaking point sparked by the witnessing of extraordinary brutality. Earlier this year, the first-ever nationally representative study of child maltreatment in South Africa revealed that over 40% of young people interviewed reported having experienced sexual abuse, physical abuse, emotional abuse, or neglect. This figure is high, but it is not unusual: similar studies on violence against children have been conducted across 12 other countries, with many revealing equally high rates. Ancient Egyptian art dates all the way back to 3000BC and provides us with an understanding of ancient Egyptian socioeconomic structures and belief systems. The Ancient Egyptians also developed an array of diverse architectural structures and monuments, from temples to the pyramids that are still a major tourist attraction today. But how much do you know about Ancient Egyptian art and architecture? History matters. Historical events can sometimes have consequences that last long after the events have finished. An important part of Africa’s past is its history of slave exporting. 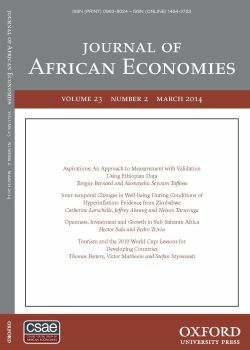 Although Africa is not unique to the trading of slaves, the magnitude of slave exporting rose to levels not previously experienced anywhere else in the world. A few years ago when the Greek economic and financial crisis was rocketing markets around the globe and seemed to justify the bashing of that “poor country of tax cheaters” to the point of threatening the majestic European Union project and dishonouring an entire continent, French philologist Jacqueline de Romilly reminded the world of some of things owed to Greece: the invention of democracy, philosophy, and tragedy. Over two years ago I wrote that “new viruses are constantly being discovered… Then something comes out of the woodwork like SARS which causes widespread panic.” Zika virus infection bids fair to repeat the torment. On 28 January 2016 the BBC reported that the World Health Organization had set up a Zika “emergency team” as a result of the current explosive pandemic. Does it matter when the first blood transfusion occurred in Africa? If we are to believe the Serial Passage Theory of HIV emergence, then sometime in the early twentieth century, not one, but as many as a dozen strains of simian immunodeficiency virus (SIV) passed from West African apes and monkeys to people, although only a handful became epidemic, and only one – HIV-1M – became a global pandemic. The 2014 Men’s World Cup finals pitted Germany against Argentina. Bets were made and various observations were cited about the teams. Who had the better defense? Would Germany and Argentina’s star players step up to meet the challenge? And, surprisingly, why did Argentina lack black players? Across the globe blogs and articles found it ironic that Germany fielded a more diverse team while Argentina with a history of slavery did not have a solitary black player. A common perception is that the problem with Africa is its leaders. In 2007, Sudanese billionaire Mo Ibrahim even created a major cash prize through his charitable foundation as an incentive to African heads of state to treat their people fairly and equitably and not use their countries’ coffers for their personal enrichment. The ‘Africa Rising’ narrative means different things to different people. Yes, Africa has performed better in the last decade. But views diverge on the drivers of growth and on its sustainability, and on whether this growth will translate into structural transformation. "China calls itself a responsible power -- a term it appropriated from Clinton administration speeches on China. But it also has deployed more than 700 missiles aimed at Taiwan."